The snappy and simplistic prologue proves the filmmakers aren’t so much interested in reinterpreting Romeo and Juliet, but strip-mining it for its elemental parts. There’s no short supply of irony in modern animated films, with each carefully constructed laugh, scream, and tear often driven by a postmodern referential glee. Disney’s occasionally charming new film Gnomeo & Juliet, basically Toy Story-lite streamlined through the classic Shakespeare tragedy, immediately makes the familiarity of its own source materials part of the gag. “The story we are about to tell has been told before…a lot,” says a sarcastic gnome speaking in direct address to a theatrical audience off screen. The pointy hat figurine goes on to dismiss the need for a “long, boring, prologue” that usually accompanies such classic melodrama, jumping right into the story of two factions of lawn gnomes aimlessly feuding through backyard warfare simply because their human owners hate each other. The snappy and simplistic prologue proves the filmmakers of Gnomeo & Juliet aren’t so much interested in reinterpreting Romeo and Juliet, but strip-mining it for its elemental parts. Dressed in variants of blue, Gnomeo (James McAvoy), his hapless cousin Benny (Matt Lucas), and the rest of the Montague clan occupy one side of the fence, a haven of lavish flowers and shrubs with an old toilet as a centerpiece. Juliet (Emily Blunt), her stout cousin Tybalt (Jason Statham), and the Capulet’s are deeply entrenched just a stone’s throw away, sporting a strict dress code of red and tending to an impressive garden all their own. Each world gets a lightning-quick introduction, and the actor’s voices quickly give these iconic names a certain unique resonance. McAvoy and Blunt have a strong singularity when pressed to prove allegiance to their respective sides, then a surprisingly wonderful romantic tenor after they finally meet face to face in the film’s best sequence set in a dimly lit greenhouse. The moment when Gnomeo first sees Juliet dressed in ninja garb, her sleek figure framed by a haunting full moon, is especially beautiful. 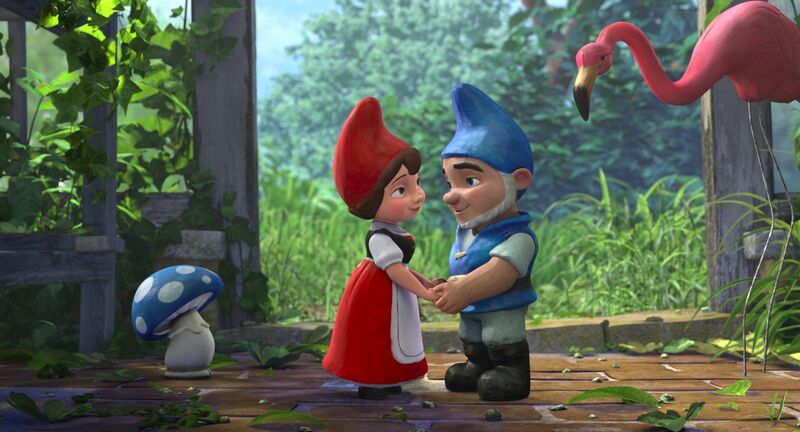 The extreme love of Gnomeo & Juliet and the hatred shared between their clans equal the emotional turmoil of the many previous adaptations, yet the ferocity is deeply rooted in the world of play and competition. Knife battles are replaced with chaotic lawn mower races down a back alley, physical love gets represented by an elaborate game of take away involving a special orchid, and the sanctuary where the “star-crossed lovers” secretly meet houses a Spanish-accented pink flamingo named Featherstone (Jim Cummings), a kind soul also tormented by a lost love. As the fates align and we get closer to the expected tragic elements, Gnomeo & Juliet puts an emphasis on physical destruction of the gnomes, with Tybalt literally smashed to pieces and Juliet tragically glued to a “pedestal” by her father (Michael Caine) during the visually stunning climax. But since this film is for kids after all, the consequences of hate rarely infect the film for too long. Occasionally, Gnomeo & Juliet overlaps the gnome world with the human one, finding the crotchety old British neighbors arriving home and arguing across the fence. 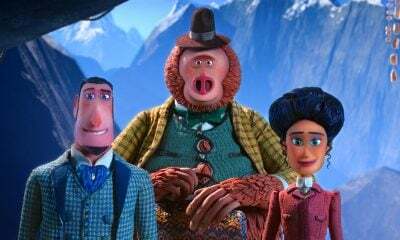 The inclusion of actual people freezes the lawn gnomes in their tracks, making for a few genuinely funny moments, the best being Statham’s raging and volatile Tybalt forced back into his original frozen stance as a kind flower gnome. 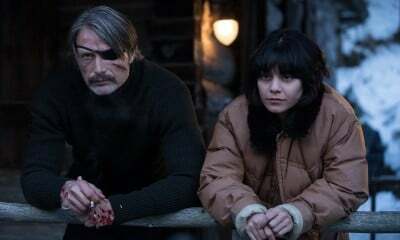 A soundtrack flushed with Elton John music and references supplements the many shifts in tone, with a few fantasy sequences hitting the right notes of levity during transitional moments. Still, the film’s adherence to irony becomes tedious, especially with the supporting characters planting more adult references in almost every conversation, including a not-so-sly Brokeback Mountain cue and repeating gag with a Borat-style swim suit that feel especially tacked on. Predictably, much of Gnomeo & Juliet looks like an assembly line of parts from better films (Featherstone’s melancholic flashback concerning his own version of unrequited love feels tonally linked to the wondrous prologue of Up), yet the film manages to create a unique mixture of whimsy, heartache, and tenderness that transcends its familiar structure. The voice performances by the impressive collection of actors certainly helps, but one can’t shake the idea that this is a film about serious consequences, even when it doesn’t want to be. The final bout of massive destruction, perpetrated by a gigantic out of control über-mower with settings for “trimming, edging, mulching, and revenge,” gives an epic feel to Shakespeare’s more individual trauma. Ironic, sure, but still organically connected to themes about the cost of division that, sadly, will always resonate.